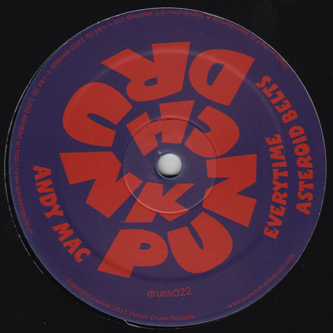 Punch Drunk come smoother with Andy Mac's soulful and slippery debut burner. A member of Bristol's Falling Up crew, Andy represents a more Housed-up sound than many of his city's fellow producers, assimilating traces of Deep House and Broken Beat into the yearning grooves of 'Everytime' but with more than enough swing and subbass pressure to warrant a Punch Drunk release. 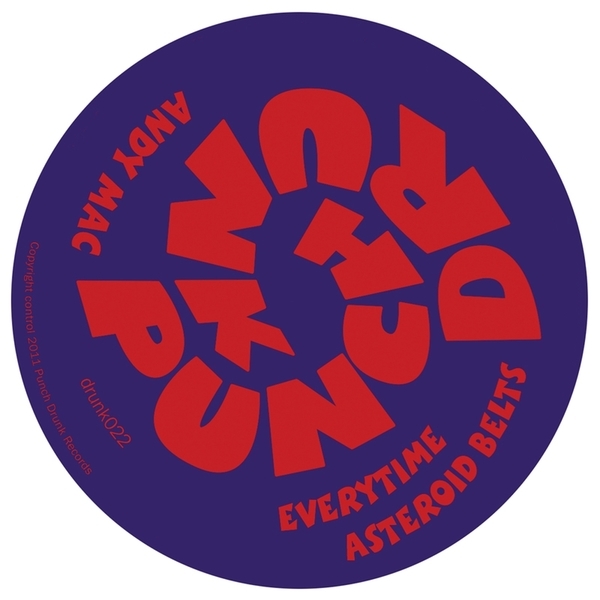 Moving further into House blueprints, 'Asteroid Belts' belies some strong influence from Levon Vincent in his haughty hi-hat shuffles, those floor-cleaning subs and sensuously teased out synthlines. Big crossover tune. Recommended! !